C was 5 months old this week, and it’s suddenly struck me how quickly time is ticking by. I’m already halfway through my maternity leave, which quite frankly terrifies me. Half way? How on earth did that happen?! There’s so much I still need to do! I’m going for my first ‘keep in touch day’ tomorrow at work, which I’m actually quite excited about – seeing who and what has changed, and whether my brain still works fast enough to take it all in. C’s decided to mark the occasion by being all of a sudden much more grown up herself. She learnt to roll from front to back a while ago, but showed no real interest in using that skill. That is, until the last couple of days, when she’s suddenly become surprisingly mobile, not just rolling but wriggling backwards and forwards from wherever we put her down. 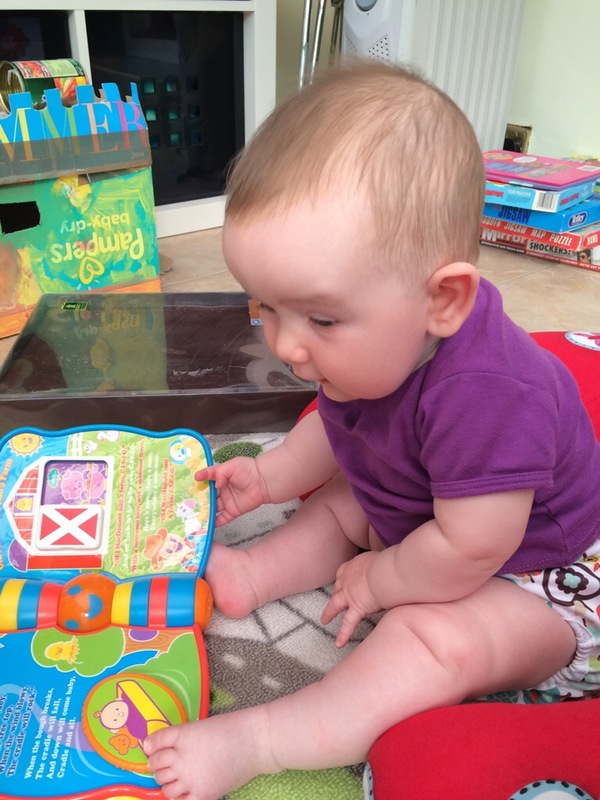 She’s trying very hard to sit up, though she can’t quite manage balancing there for more than a few seconds. Her new highchair seat has arrived too, which reminds me that weaning is just around the corner. There’s definitely at least one tooth on it’s way through – it’s not quite peeking out yet but causing her a bit of trouble nonetheless. And today she went to vote for the first time. 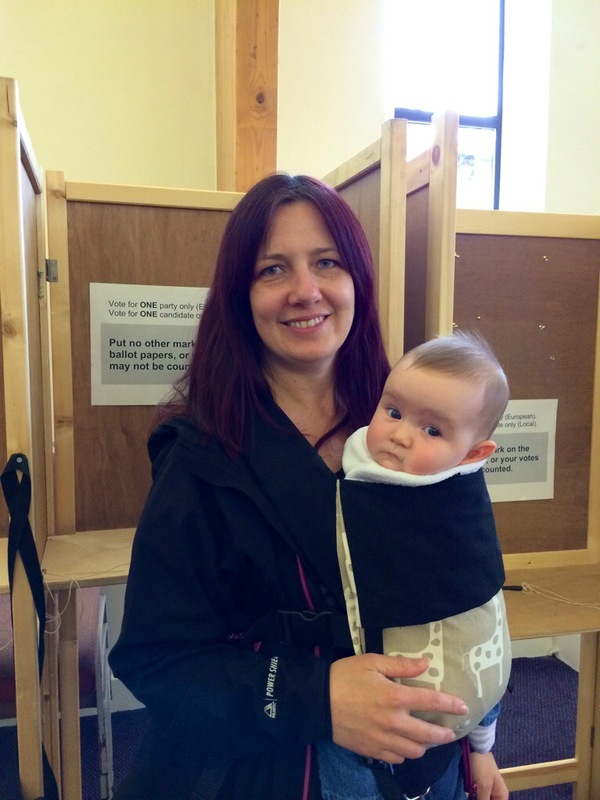 It’s unlikely she’ll be quite as politically exposed as G was as a baby (Daddy was running a hyper-local news website at the time and so baby G got to tag along to interview all of the candidates for the election, and the party leaders for the subsequent by-election). Hopefully she’ll be just as politically aware though, and will understand how important it is to go and vote. For now she just seemed a bit bemused by the whole thing, and if I’m honest was more interested in the sound of singing coming from the next door toddler group. I’ll leave it for her Daddy to fill her in on the finer points of the voting process and European political scene. Perhaps it’ll help distract her during her next bout of teething pain. Or, dare I say, help her to sleep?